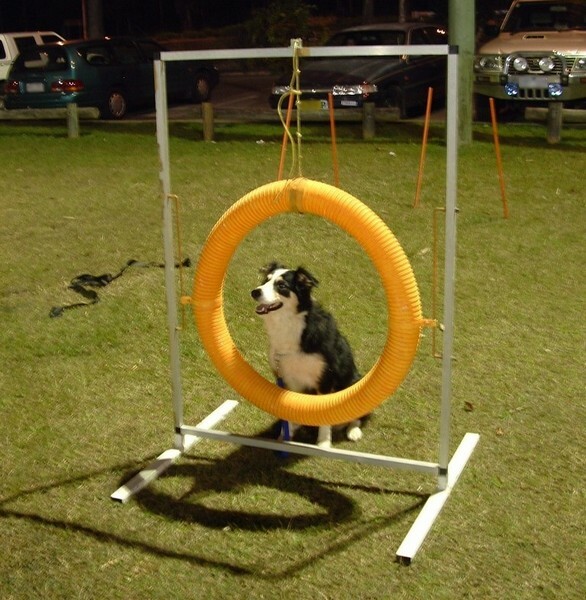 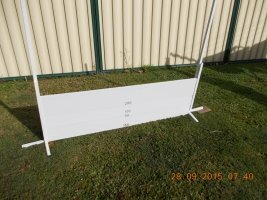 All equipment provided is built to ANKC specifications we provide both Agility Equipment, Obedience Equipment and the new Rally O Equipment. 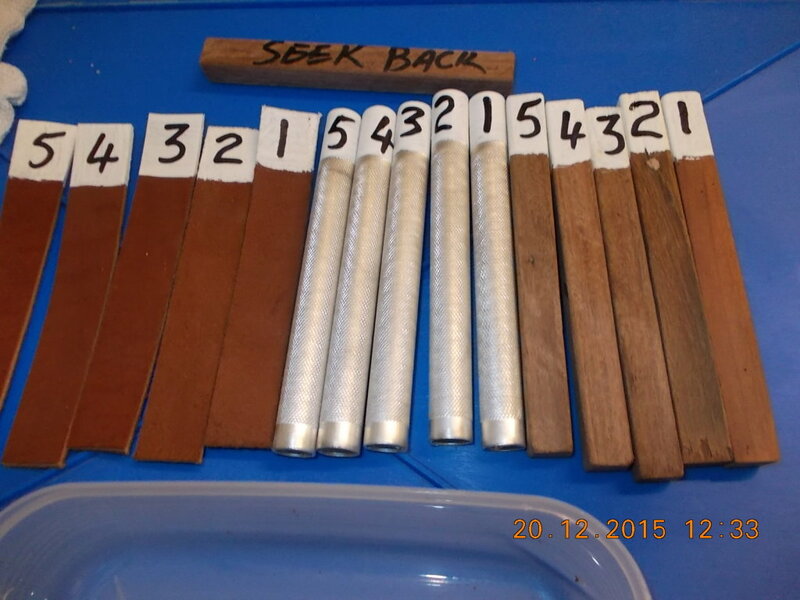 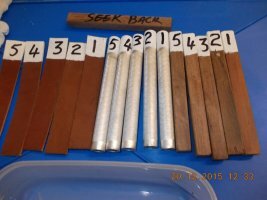 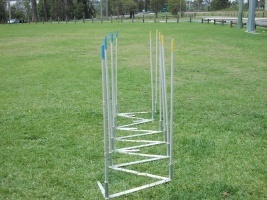 Equipment can be built to any specification. 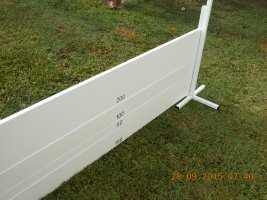 Prices quoted on this website are a guide only, please contact us to place your order we will go over the options and provide you with a quote for your order. 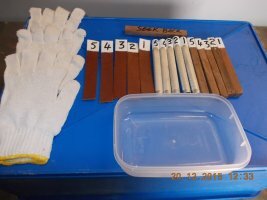 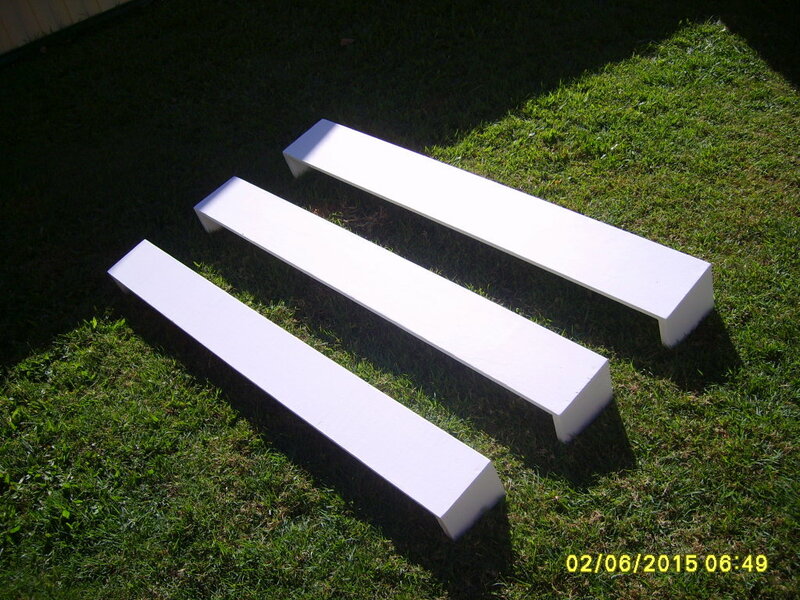 We can arrange delivery Australia wide. Click here for an order form, you can phone you order in or mail it to the address provided on the order form. 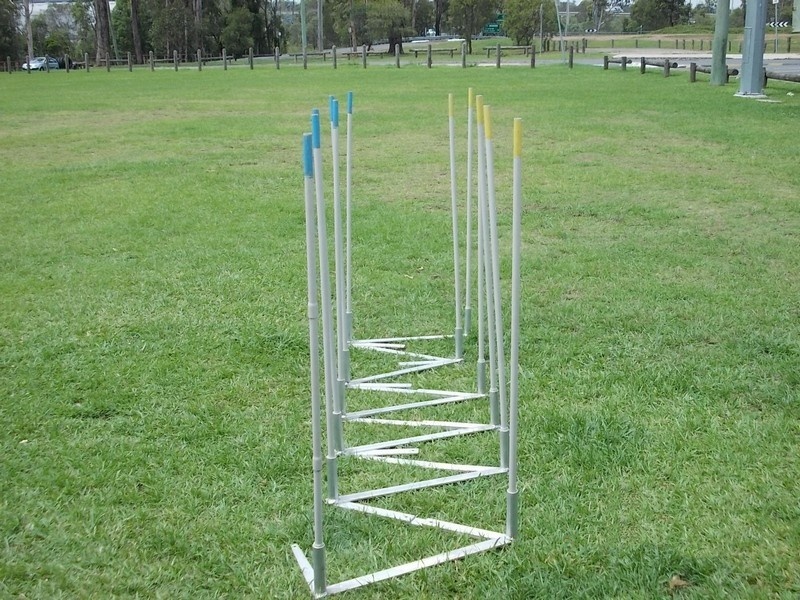 With the introduction of Rally O and in particular the higher classes such as Rally Advanced and Rally Excellent we have now added Rally jumps to our stock listing. 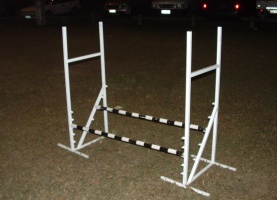 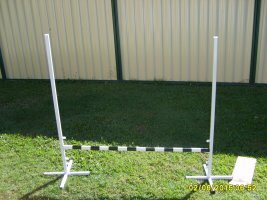 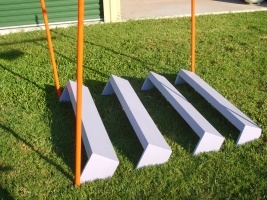 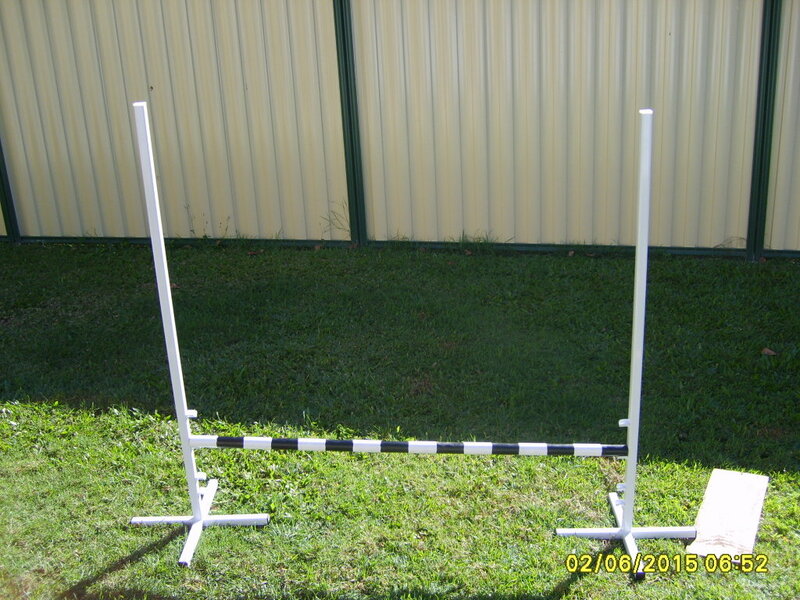 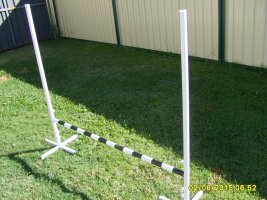 The jumps comply with ANKC specifications, are lightweight and durable. 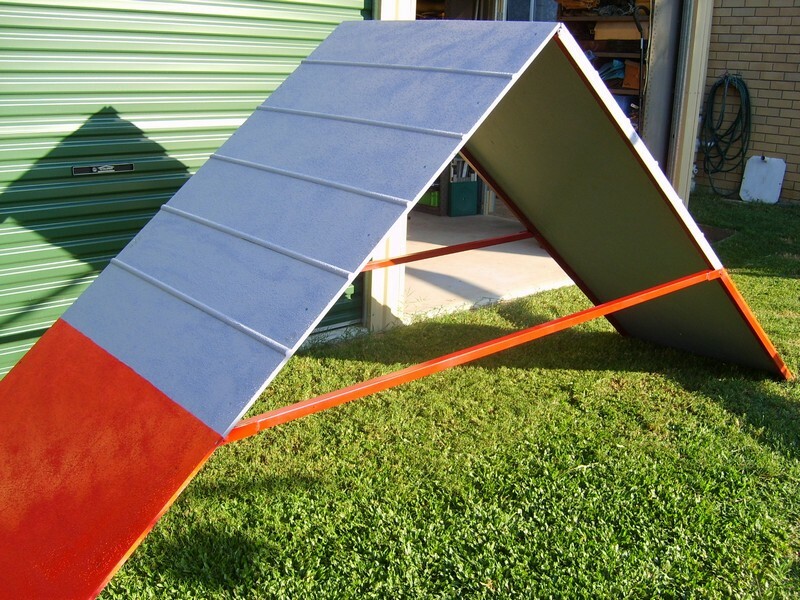 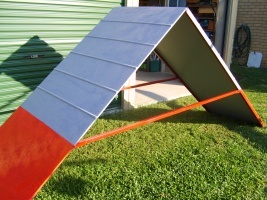 All metal components a made of galvanized metal and are powder coated for longevity. 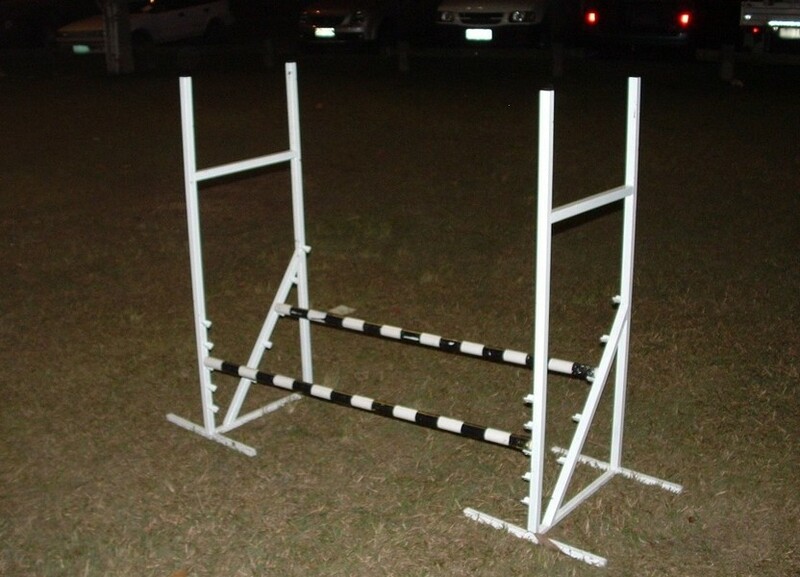 The bar jump has 4 stirrups on each upright to aid in efficient and quick height changes. 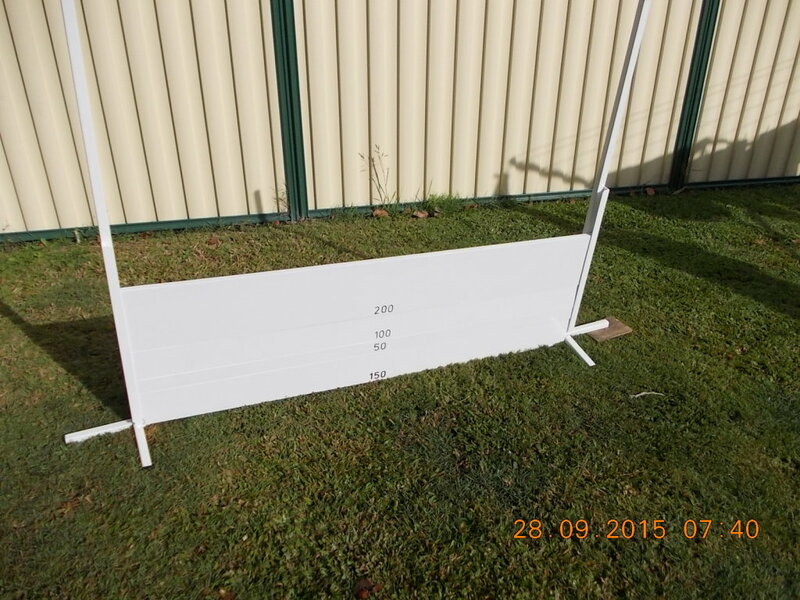 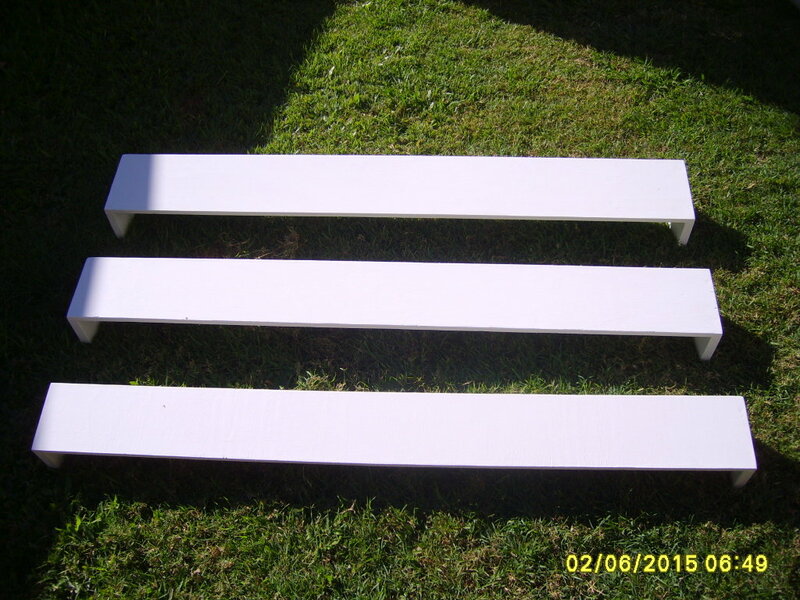 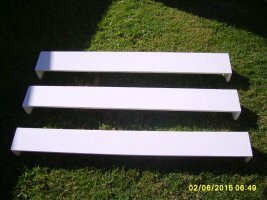 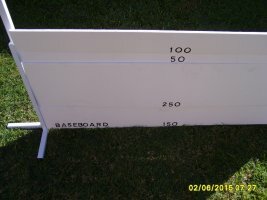 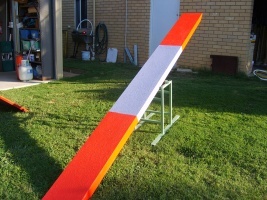 The solid jump has a baseboard of 150 mm, with fill in boards of 50mm, 100mm and 250mm. The broad jump is telescoped to enable ease in storage and comes completes with a scaled strap for easy identification for different jump lengths.